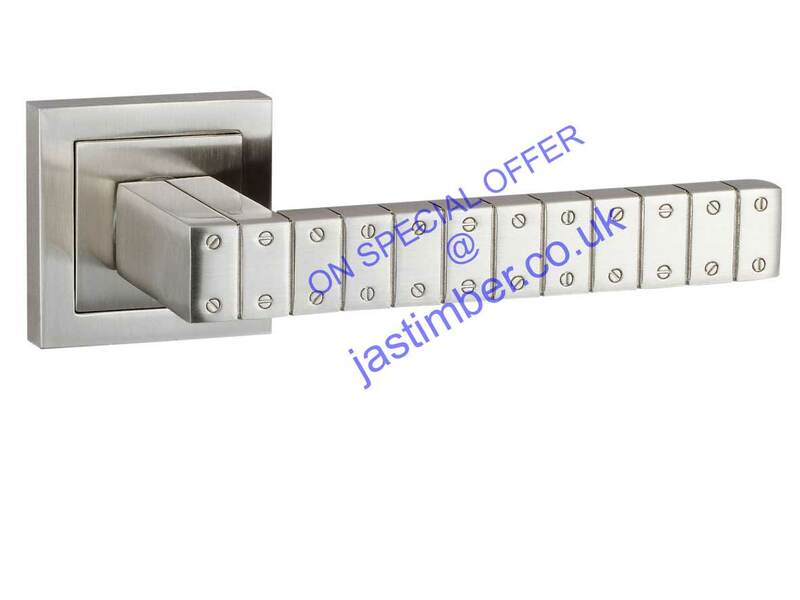 The Ultra Modern BIANCA Door Handle is 25% OFF at JAS Timber! JAS Timber are offering 25% off the BIANCA interior door handle, so you can update your home for less! The flat, rectangular handle has a robust demeanour and features a screw head effect on the face. Its sharp, urban design would suit any contemporary home or apartment. The BIANCA design has a cool, Satin Nickel finish setting off the metropolitan look. As durable as it looks this interior door handle is manufactured from a zinc alloy material to make it hardwearing as well as attractive.